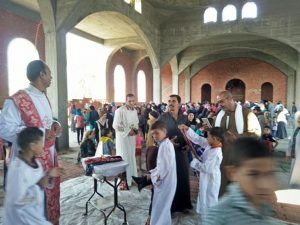 Copts in Minya’s Kom El-Loufy village, 250 km south of Cairo, are celebrating the completion of the first phase of construction of their new church building, seven years after local authorities closed their previous premises for “security reasons”. It is over ten years since the Copts applied for a permit to construct a new church building. 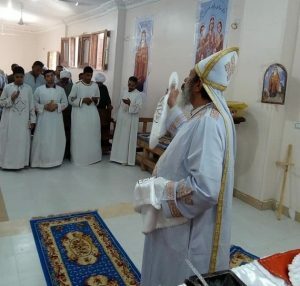 Fr Feltaws Ibrahim, priest of Saint Abu Sefein Coptic Orthodox church in the nearby village of Ezzbet Rafla, led the first service in the new Church of the Virgin Mary and Martyr Abanoub on 22 July. He had hosted Kom El-Loufy’s Copts in his church in Ezzbet Rafla while they were without a premises. The community was eager to hold the service despite the fact that the new building had not been painted or furnished with curtains, icons or pews – worshippers sat on the floor to pray. Since the closure of their previous premises, Kom El-Loufy’s 1,600 Copts experienced severe opposition from Muslim villagers. In June 2016, local Muslims set fire to four Coptic homes in the village following rumours that a house was going to be turned into a church. In April 2017, Muslim villagers attacked Copts who had gathered to pray on Holy Thursday, throwing bricks and stones and setting fire to three homes. Eight people were injured. Police arrested 23 Muslims in connection with the 2016 attack, but the Copts were pressurised to withdraw their complaint of arson. 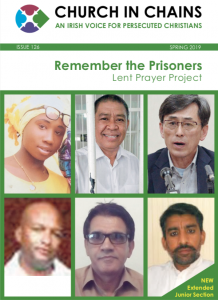 They resisted the pressure until December 2017, when they withdrew the complaint in exchange for a promise from local administrators, politicians and security officials that permission would be granted to construct a new church building. 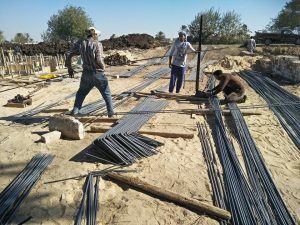 The charges were dropped and on 21 December, ten years after filing an application for a licence to construct a church building, Kom El-Loufy’s Copts started construction on a piece of land 700 metres outside the village. While Kom El-Loufy’s church building has opened at last, others are being forced to close as Muslim mobs protest violently against the legalisation of church buildings. The process of legalisation began with the passing of a law in August 2016 that was intended to make it quicker and easier for churches to obtain permits – for decades, it had been almost impossible to obtain permission from the government to construct new church buildings or repair existing ones, which led many Christians to worship in unlicensed premises. More than 3,700 churches applied for permits under the new law, and they began to be granted in 2017, although only a small fraction of the number that applied. When the authorities started making site visits to assess applications, extremist Muslims protested and attacked local Christians, with some attacks escalating to include stoning and burning of their homes. In Upper Egypt’s Luxor governorate alone, eight churches have been closed in the diocese of Esna and Armant since Bishop Abba Yoaquim filed an application for the legalisation of its churches. In the most recent case, on 22 August a mob of young Muslim men gathered outside the Virgin Mary and St Mohrael Coptic Orthodox church in El-Zeniqa (pictured), 60 km south of the city of Luxor. Shouting “Allahu Akbar” and “We don’t a church in our Islamic village”, they tried to break down the door. The Copts locked the door and called the police, who dispersed the demonstrators, closed and sealed the church building and posted security guards. In February 2003, the diocese had bought a two-storey building for the Copts of El-Zeniqa, where they met without problems until rumours started circulating that the government commission was going to carry out an inspection with a view to licensing the building as a formal church. The police arrested five Copts and 15 Muslims, charging them all with illegal gathering, obstructing the road, disrupting public peace and inciting sectarian strife. The Copts were also held on charges of praying in an unlicensed place. 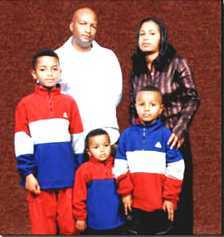 The prosecution said they were to be held for 15 days pending investigation. 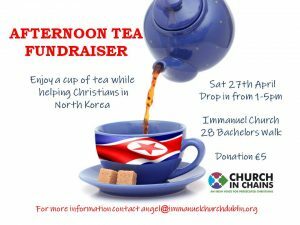 A church in the nearby village of Keyman Almtaanh was locked in similar circumstances in June. Muslim villagers attacked St Mary and Anba Feltaas Coptic Orthodox church after they had heard it had sought legalisation – local Copts had finished construction in January 2018 and started to pray in the building and use it as a de-facto church. Police dispersed the demonstrators but made no arrests. Christians in these and other villages where churches are closed have to travel to other villages for church services, which can be difficult for the elderly, families with young children and anyone in poor health.